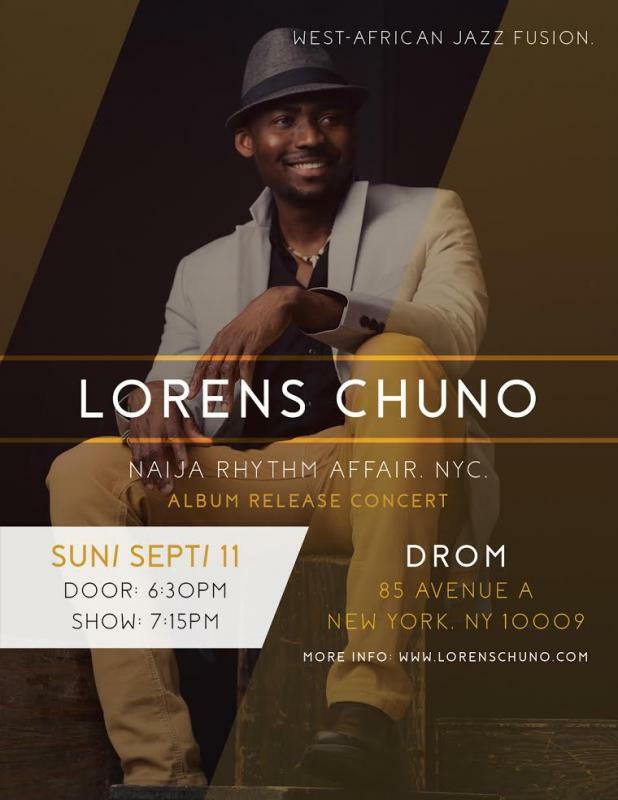 Jazz news: Lorens Chuno "Naija Rhythm Affair, NYC" - CD Release Performance On September 11 At DROM! 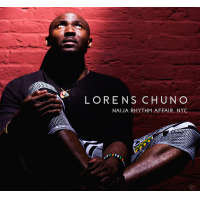 LORENS CHUNO, WEST-AFRICAN JAZZ FUSION! Since 2008, Lorens Chuno has played live sets that have been praised as energy-filled", captivating", and educative". 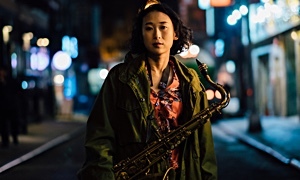 Over this period, the New York-based Nigerian-born musician has created a unique sound that can be broadly classified as West- African Jazz fusion. 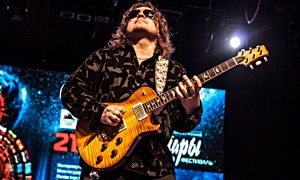 His warm and dynamic vocal style, along with his bold compositions, helps define this sound. All the aforementioned qualities can be fully experienced in his new album, Naija Rhythm Affair, NYC. The songs are characterised by infectious jazz melodies, strong rhythms, and a rejuvenating energy that permeates. The singer describes the album as a collection of melodies and lyrics that address contemporary issues from the perspective of a new generation African. Having lived in the U.S. since his late teenage years in the early 2000's, and having traveled the world between then and now, Lorens Chuno is placed in the perfect position to address such issues. 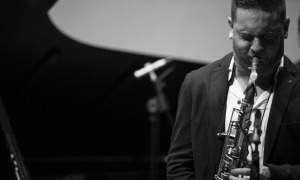 A talented vocalist, pianist, percussionist, and dancer, Lorens Chuno has played several concerts, many a time, sharing stages with international acts like the Chicago Afrobeat Projects, and the Sierra Leone Refugee All Stars. 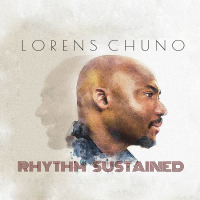 Lorens Chuno has worked with some legendary jazz musicians including drummers Poogie Bell and Roger Humphries, and pianists Howie Alexander and Marc Cary. Lorens Chuno has also garnered a few international recognitions including an appearance on the Nigerian Television Authority Celebrity Corner" program and the African Independent Television (AIT) Artist's Notebook".